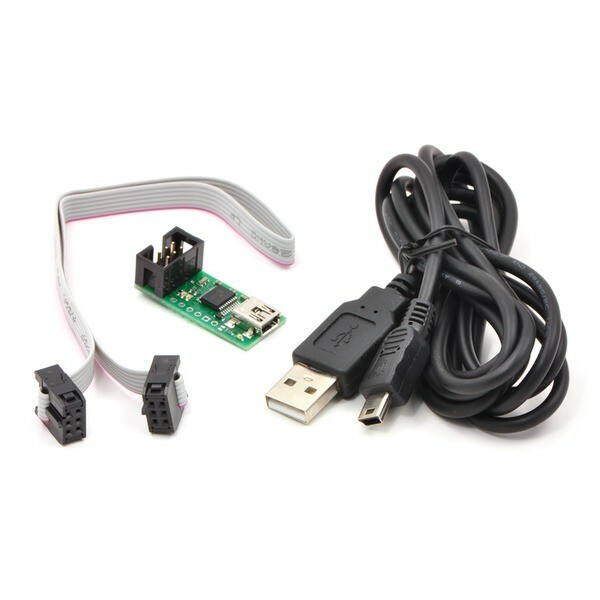 The Pololu AVR ISP programmer with USB is used to program popular Atmel AVR microcontrollers. It can be used with controller boards based on AVR microcontrollers such as the Pololu Orangutan robot controllers and the 3pi robot. 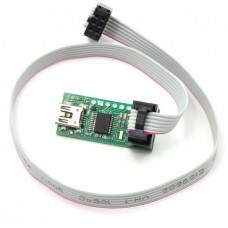 The programmer emulates an STK500 on a virtual serial port, making it compatible with standard AVR programming software. 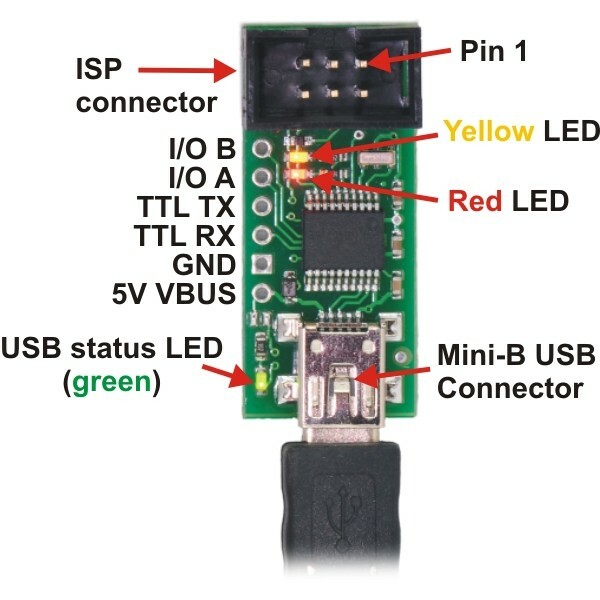 Two additional features help with building and debugging projects: a TTL-level serial port for general-purpose communication and a SLO-scope for monitoring signals and voltage levels. Includes USB and ISP cables.